After the devastating Al-Qaeda terrorist attacks on the World Trade Center and the Pentagon on September 11, 2001, which resulted in the death of some 3000 people, media and researchers focused on the relation between terror and religion. Although the results of the scholar research mostly gave crucial knowledge about fundamentalist tendencies within religions, in some cases media and some political groups promoted misleading information about Islam as a fundamentalist religion. Indeed religion and terror are not directly related to each other, because in the first place, there are many terror acts in the world without any religious justifications. In second place, like any ideology, there is range of tendencies per religion. For instance, we can see many socialists throughout history and now, but we can’t consider all of them in the same way. Socialists can differ from each other like differences between Joseph Stalin and Bernie Sanders. The problem is mistaking religion with religious fundamentalism because extremist or fundamentalist religious approaches, like other fundamentalist approaches, can create problems for society and act against modern humane values, not merely religions. Emergence of terrorist groups such as Al-Qaeda, Taliban, and recently ISIS in the Middle East formed opinions without sufficient evidence that Islam is a fundamentalist religion and the terror groups are established based on Islamic Sharia. Some people argue that Islam endorses terror through concept of Jihad, but this is misinformation, because the fundamentalist’s interpretation of jihad is an extremist interpretation and does not overlap with the majority of Muslims. Political analyst Joseph N. Weatherby says in his book, The Other World: Issues and Politics of the Developing World, that “jihad is often misunderstood in the West, has two meanings: one inner and one external. The inner meaning calls on Muslims to fight constantly against their own evil inclinations. The external command offers salvation to those Muslims who fight to promote a universal Islamic doctrine. The confusion concerning jihad arises because the term has been used in a political manner by some Islamic leaders to further their own purposes. When used in this way, there is some doubt whether it is anything more than a symbolic gesture”(205). Like fundamentalists who are using the term of “Jihad” with their own interpretation, in other ideologies some terms have been used by dictator leaders to further their purposes. For example, democracy has been used by Adolf Hitler, but we can’t deny the word because of the using. The existence of fundamentalist and their terroristic activities are a complicated issue and can’t be explained only with religious factors. Emergence of ISIS in Iraq and Syria have different dimensions and reasons. If Islam is a religion that encourages people to commit terroristic attacks, why there is no evidence throughout the 1400 years of Islam for this promotion, and only in last years terroristic attacks increased. Indian-American author and journalist Fareed Zakaria in his documentary, Blindsided: How ISIS Shook the World discussed the complicated social context and advent of ISIS in the Middle East. He refers to role of the United States’ Iraq intervention and lack of inclusive authority in Iraq. ISIS did not exist before the intervention of the United States in Iraq, and after intervention, Western countries helped to establish the Iraqi government, which behaved discriminately against Sunni Muslims. With influence of Islamic Republic of Iran, which also increased after the intervention and supported the government for the discriminative policies because Iran is a Shia-Islam government and ideologically is opposed to the Sunni sect of Islam. Now, most of the fundamentalist Muslim terrorists are from Sunni sect of Islam. One reason for this is a statistically 80 percent of Muslim are Sunni Muslims and normally Sunni fundamentalists can be more than Shia Fundamentalists. Another reason is Iraq’s government policies against Sunni Muslims and resistance of the Sunnis versus the Shia dominated government. In addition, some historical and modern ideological features also lead the terror attacks against the western countries and especially against America as a leader of the Western countries. The historical reason is the colonial experience of Middle East and African countries. Western countries like Britain, France, Italy, and Spain pursued their imperial objectives in the Middle East countries. The historical memory of Middle Eastern people does not forget the invasions and then affect their behavior in front of West. Moreover, according to British author Andrew Heywood’s thought in his book, Political Ideologies, in this new era ideological tendencies focus upon identity rather than economic basis. This is one of main differences between classical ideologies and modern ideologies. If liberalism, socialism, conservatism as classic ideologies mostly focused on society in terms of economy, now, new ideologies such as feminism, multiculturalism, Islamism focus on identity of certain groups. Islamic fundamentalism from some aspects is an unacceptable form of Islamic civilization resistance in front of Western civilization. Simplification of relations between terror and religion cause some social problems in Western countries. Labeling Muslims as potential terrorists prevent their integration to Western societies. In some cases this is happening because of giving misinformation to people through media about Islam. For example, Media and TVs don’t give information about secular Muslim countries such as Turkey, Azerbaijan, Indonesia, and other secular Muslim countries to audiences. Indeed, one reason that young Muslims from Western countries join to fundamentalist groups like ISIS, originate from their problem in integration. Consequently, fundamentalism and extremism in all ideologies including in religions are problems and there is a necessity for separating religion from fundamentalist approaches to understand reality. Humanity needs to consider all religions from a fair lens and refuse to assess terror as part of a particular religion because this approach creates an opportunity for spiritual terror and fear to form in the minds about a particular religion. Tragedy takes a huge toll on the citizen’s yesterday morning with an unbelievable terrorist attack in New York City. It has been reported that there were 19 terrorists who came to America from Saudi Arabia, who were followers of the al-Qaeda led by Osama Bin-Laden, in attempts to destroy important landmarks here in America. These followers, Mohammed Atta, Mohand al Shehri, Ziad Jarrah and Khalid al Mihdhar, were four of the 19 who actually were flying the four planes, that were hijacked, accompanied by the other followers who were split up amongst the pilots. All 19 of these terrorists had previously taken flight classes in order to prepare themselves for the “big day” they were about to become face to face with. However, these terrorists did not just hijack any plane; they took over planes that were destined to be traveling far distances. By doing this, they could have the most amount of fuel in their tanks for when they actually made contact with the twin towers. Basically, using the vigorous amounts of fuel in the tanks, as missiles so when the plane made. Impact, it would be even more dangerous and life threatening to the people in the city of New York. It is reported that at 8:38, Flight 11 has been hijacked, and at 8:45 Flight 11 has then crashed into the north tower of The World Trade Center. Furthermore, at 9:03 Flight 175 had announced they were being hijacked as well, and at 9:08 had officially crashed into the south tower of The World Trade Center. After citizens assumed the attacks were over with, George W. Bush (president at the time) released the following statement: “We have had a national tragedy. Two airplanes have crashed into The World Trade Center in an apparent terrorist’s attack on our country” (bbc.co.uk). Shortly after releasing this statement, tragedy takes place again. A third hijacked plane, Flight 77 at 9:37am, crashed into the United States Military Headquarters (aka The Pentagon). In result of the plane crash, at 9:59, the south tower of The World Trade Center had collapsed. Furthermore, at 10:03am, Flight 93 crashed into a deserted field. Lastly, at 10:03am, the north tower of The World Trade Center was now nothing more than debris and dust (cnn.com). Growing up as a kid, I was always bullied in school. Many of peers viewed me as a weak individual, and thought that I was different because of the way I looked compared to them. Growing up, I didn’t have much. I did not own high end clothes, or have famous name brand shoes. However, my peers, mainly the people who bullied me, were fortunate enough to have designer clothing and name brand shoes. Due to this, they thought I was different from them and thought I was very poor compared to them. I mean, what they thought was true. I was poor, and did not have the money to purchase these expensive things. to bullying, and take extreme measures. However, there’s always someone out there who can help you. It’s all up to you, and when you think you have had enough. A person who doesn’t ask for help may not always want help. That’s why speaking up about your issues, and seeking help can never go wrong. You will always receive help; all you have to do is ask. At least 95 people have been killed and around 250 wounded in the deadliest terror attack in Turkey’s history after two explosions targeted a peace rally in the centre of the capital. Twin explosions outside Ankara’s main train station on Saturday, Oct.10 morning targeted hundreds of people who had gathered to protest against violence between authorities and the Kurdish militant group, the PKK. Turkish government officials said the explosions were a terrorist attack carried out by suicide bombers but no group immediately claimed responsibility. Turkey’s prime minister, Ahmet Davutoğlu, called emergency meetings with government officials and security chiefs. Early statements put the death toll at 86, but on Saturday evening both the pro-Kurdish HDP party and the Turkish Medical Association revised the estimate to at least 97, while the wounded numbered 245 or more. Turkey awoke in grief on Sunday. “We are in mourning for peace,” said the front-page headline in the secularist Cumhuriyet newspaper as three days of national mourning declared by the prime minister got under way. One of the bombers was identified as a male aged between 25-30 after analysing bodies at the scene and taking fingerprints, the pro-government Yeni Safak said. Davutoglu, exposing a mosaic of domestic political perils, said Islamic State, Kurdish or far-leftist militants could have carried out the bombing. On the evening of 13 November 2015, a series of coordinated terrorist attacks occurred in Paris, the capital of France, and its northern suburb, Saint-Denis. Beginning at 21:20 CET, three suicide bombers struck near the Stade de France in Saint-Denis, followed by suicide bombings and mass shootings at cafés, restaurants and a music venue in Paris. The attackers killed 130 people, including 89 at the Bataclan theatre, where they took hostages before engaging in a stand-off with police. There were 368 injuries, 80–99 serious. Seven of the attackes also died, while authorities continued to search for accomplices. The attacks were the deadliest on France since World War II, and the deadliest in the European Union since the Madrid train bombings in 2004. France had been on high alert since the January 2015 attacks in Paris that killed 17 people, including civilians and police officers. The Islamic State of Iraq and the Levant (ISIL) claimed responsibility for the attacks, saying it was in retaliation for the French airstrikes on ISIL targets in Syria and Iraq. The President of France, François Hollande, said the attacks were an act of war by ISIL planned in Syria, organised in Belgium, and perpetrated with French complicity. Heavily armed gunmen on Friday, Nov. 20, 2015. fired indiscriminately at guests at a hotel hosting diplomats and others in Mali’s capital, the maltreat d’ told CNN. A pair of suicide bombings struck southern Beirut on Thursday,12 November 2015 killing 43 people and leaving shattered glass and blood on the streets, Lebanese authorities said. At least 239 others were wounded, according to state-run National News Agency. A would-be suicide bomber who survived the attack told investigators he was an ISIS recruit, a Lebanese security source said. The man, a Lebanese national from Tripoli, Lebanon, was taken into custody after the blasts. He told authorities that he and three other attackers arrived in Lebanon from Syria two days ago, the source said. Lebanese intelligence believes the bombers could be part of a cell dispatched to Beirut by ISIS leadership, the source said, but investigators are still working to verify the surviving suspect’s claim. The three other bombers were killed in the explosions. In a purported ISIS statement circulated on social media, the terror group claimed responsibility for the blasts. Dear, Mr. Trump, today I’d like to sit down and write you a letter about terrorism and how we as a nation can stop it. For starters as you recently stated “In my book I predicted terrorism because I can feel it.” And I ask if you could “feel” this terrorists attack about it why did you not say anything. If you can in fact tell when it is going to happen you could’ve saved more than one hundred lives. Instead you went on to bash president Obama for allowing the Islamic state to rise… what did you want him to do? Send thousands of troops in to fight? You can’t just think of these people as troops they have families children wives and husbands to get back to. For starters your ideas to fight terrorism were to “bomb the hell out of the oil fields in Iraq” claiming that if we were to take their (isis) money away we would also be taking their power away. When in fact many military experts are saying that not only are the oil fields not even in Iraq but in Syria, that this would topple Iraq’s economy for the foreseeable future. You also made a statement this last January “Isn’t it interesting that the tragedy in Paris took place in one of the toughest gun control countries in the world?” in which you evoked a response from the ambassador of Paris that read “This message is repugnant in its lack of any human decency. Vulture,” so I think it was clear what he thought about your statement. With that being said I do not think that the point you made had much validity to those in Paris. As defined by dictionary.com a terrorist is “someone who uses terrorism in the pursuit of political aims.” By that definition I would like to us ( white people) as an example of terrorists in the film “eyes on the prize” back in the 50’s and 60’s many white people were brutally beating and killing innocent black citizens because of the color of their skin. So would you banish all of the white people from America? No of course not that would be irrational, and so would sending all of the Syrian refugees back to Syria. You would be signing the death warrant for 10’s of thousands of children, women and innocent men who just want to be away from the terrorists that are trying to kill them. I personally see nothing wrong with us as a nation offering help to these people who are in need of protection. I do not however see banning Syrian refugees from the US as a answer to our terrorists problems. On the other hand I believe I have some ideas that could help solve the problem. Have you ever thought why all these men are joining isis? They are probably poor young men with no jobs who are looking for money and power, so they join a group where they are guaranteed money power and women. In a place where money and power are scarce to come by this is their only option. I think that we as a nation can help stop this, why not start a program that will offer jobs to men from Syria. These jobs can help these men start a life, they can have paying jobs and help start them on a path for a healthy and successful future. Think of the things that these people might be capable of. One of these men might have the cure to cancer, one of them might end world hunger. The possibilities are endless. The best thing about this idea/program is the amount of people that WONT be terrorists, I think that right there is the most important thing about this. All I ask is that you please look at my ideas, I believe that these ideas can help save thousands of people over the years. Giving these men an opportunity to start their lives on the right track might be all they need to do something amazing. In America, we should not, and do not, tolerate terrorism against other Americans. In fact, we have spent billions of dollars to combat terrorism. When we initially think of it, tragic events like 9/11 come to mind. So, what is terrorism. According to the Federal Bureau of Investigation there are two types, International and Domestic terrorism. 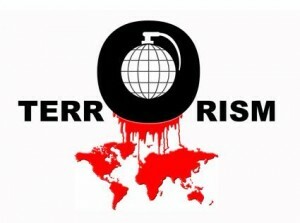 International terrorism involve violent acts intended to intimidate a population, influence the government by intimidation, or to affect the conduct of the government by mass destruction, assassination, and kidnapping that occur primarily outside of U.S. control. Domestic terrorism are those same acts, but they occur directly within the United States of America. Why do I bring this up? It is because domestic terrorism is a tool that has been used by racists and racist groups in America for many years, and it still continues to this day. To see this we can go back into our history, when people of color had little to no rights. A prominent and infamous group in the south known as the Ku klux Klan used terrorism against blacks and sympathetic whites to attempt to keep them down. An example of their terrorism is when they bombed the 16th street Baptist Church in Birmingham. This attack caused the untimely death of four little black girls. They are also notorious for lynching black people in the south for not behaving how they believed they should. The actions of this group were horrendous, but their were members who were government officials like sheriffs or senators. The fact that this somehow occurred is appalling. Another time in history racists have tried using terroristic actions was the assassination of Martin Luther King Jr. The assassination, by James Earl Ray, was an act of terrorism because it involved a violent act that tried to intimidate the black population. If Martin Luther King wasn’t making huge strides in changing the world for to be a better place for people of all races, he would not have been a target of racists. 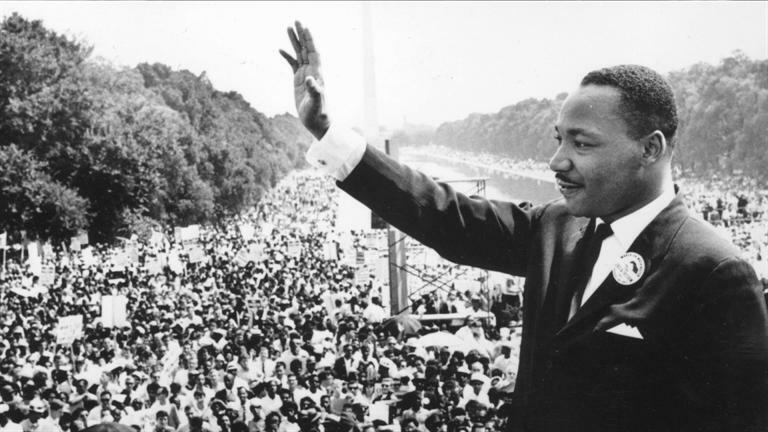 Martin Luther King is only one example of an assassination of an important civil rights figure, as there were quite during the Civil RIghts Movement. In The Help, by Kathryn Stockett, there are acts of terrerism commmited against blacks.One example is when a black man accidently used a white bathroom, he was beaten blind with a tire iron by two white men. This is an act of terrorism because the white men used violent acts to intimidate the black man and any other black people who may have heard of the incident. 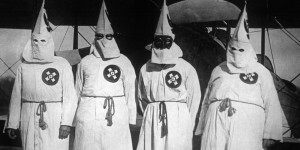 More recently in the United States, there have still been terroristic acts against blacks. One that happened very recently was in Charleston Mississippi. On June 17th, 2015 a man went in to a black church and killed nine people for no reason other than them being black. Now this man could have been, and probably was mentally ill, but that doesn’t excuse the facts that the act was racially motivated. To slaughter nine people, nine Americans, for the color of their skin is an incredibly disgusting act that only a terrorist would commit. In my life I have almost faced threats like these. Last year around Halloween there was a threat written on the wall of a bathroom stall at my high school. It read “Next week I’m shooting up the school. Better not come if you’re black. you’ll get shot up”. Usually, threats like this would be dismissed, but due to the increase in recent school shootings, people started to get scared. The following week, security was very tight and hardly any black students went to school. It was eventually found out to be a joke that went too far , and the perpetrator was kicked out of school. Regardless of the actual outcome, what does that say about the state of the our country that black students can actually take a threat seriously and feel scared for their lives at school. I ask you what steps are we going to take. How are we going to continue to move forward in making the United States a less violent and threatening place towards people of all racial makeups. Due to recent actions by the police, I think we have a long way to go. What we need to do is hold everyone accountable for their actions. Only when people can stop getting away with these acts will the country continue to make strides in being a land for all peoples. As President, it is your duty to learn from the past mistakes of America to make it greater. “Charleston Shooting.” CBSNews. CBS Interactive, n.d. Web. 04 Dec. 2015. Dictionary.com. Dictionary.com. Web. 2 Dec. 2015. “Donald Trump: ‘I Can Feel’ Terrorism.” NY Daily News. Web. 2 Dec. 2015. 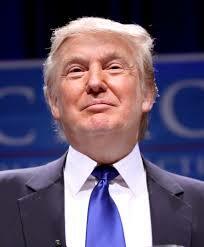 “Donald Trump: Attack ISIS Oil and Banks.” CNBC. 16 Nov. 2015. Web. 2 Dec. 2015. “Eyes on the Prize – 03 – Ain’t Scared of Your Jails 1960â1961.” YouTube. YouTube. Web. 2 Dec. 2015. Heywood, Andrew. Political Ideologies. 5th Edition. New York: Palgrave Macmillan. McGraw, Hill. “The Rhetoric of 9/11 – Timeline of Events on September 11 2001.” The Rhetoric of 9/11 – Timeline of Events on September 11 2001. Michael E. Eidenmuller, n.d. Web. 05 Dec. 2015. 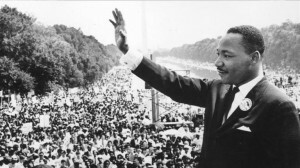 “Martin Luther King Jr Assassination.” History.com. A&E Television Networks, n.d. Web. 04 Dec. 2015. Wing, Nick. “September 11 Timeline: A Chronology Of The Key Events That Shaped 9/11.” The Huffington Post. TheHuffingtonPost.com, n.d. Web. 05 Dec. 2015. Wheatherby, Joseph N. The Other World: Issues and Politics of the Developing World. New York: Longman Publishing. 1994. Print. Zakaria, Fareed. Blindsided: How ISIS Shook the World. The United States: CNN,2015. Documentary Film. Stockett, Kathryn. The Help. New York: Amy Einhorn, 2009. Print.